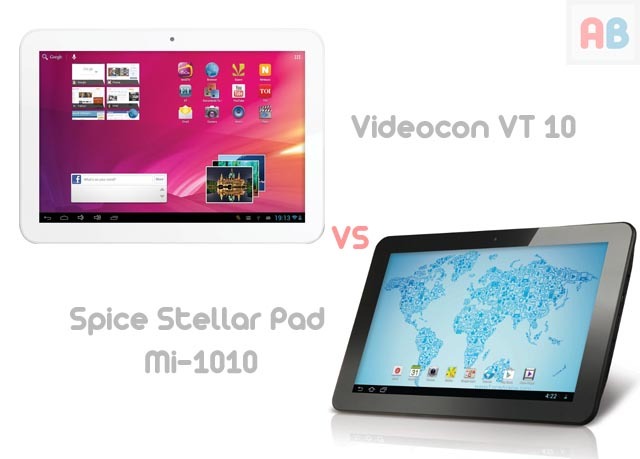 Spice Stellar Pad Mi 1010 and Videocon VT10 are two budget tablets with a 10 inch screen. Both the devices are the first 10 inch tablets for both the companies. Both the companies have tried to give their best and capture the tablet market which currently is dominated by Micromax. Micromax has not been active in the tablet market lately. It is believed that they might launch a Quad Core Tablet soon as they did with the Canvas HD. So in this post, I will try to compare the two devices and hopefully we will come across some conclusion. Lets Begin! The screen specification are quite the same except the fact that Spice Stellar Pad has 10.1 inch Videocon VT 10 has a 10 inch screen. This difference doesn't make any real sense. Both the devices have an IPS display which ensures a great viewing angle. They also feature a resolution of 1280 x 800 pixels. The touch screen is responsive and the colours are quite vibrant and text rendering is quite crisp. So there are no issues with the screen department whatsoever when the two devices are concerned. The Videocon VT 10 uses a 1.5 GHz Dual Core Qualcomm Snapdragon Processor while the Spice Stellar Pad uses a 1.5 GHz Dual Core Mediatek ARMv7 Processor. I discussed in an earlier article that its not the GHz that always counts. While the Snapdragon Processors are used by brands like Nokia and HTC and Mediatek is considered a cheaper processor, both the devices performed well. The Spice Stellar Pad got around 50 fps in NenaMark test and got Antutu Scores which are near ASUS Transformer Prime which is a great thing considering the price at which you are paying for it. The Spice Stellar Pad boasts of a Quad Core Mali 400 GPU. The Videocon VT 10 also uses a Mali 400 GPU but its unknown how many cores have been provided in it. The Spice Stellar Pad beats Videocon VT 10 in this aspect. The Stellar Pad features a 16 GB internal memory which is expandable upto 32 GB where as the Videocon VT 10 has a internal memory of 8 GB. Its not less but limits the number of apps which you can install while the Spice Stellar Pad will allow more flexibility when you are installing more apps. Both the device comes with Android 4.1 Jelly Bean out of the box. 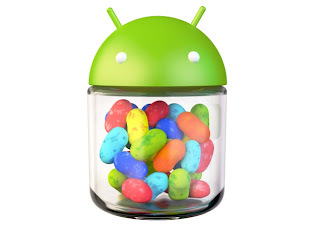 You might not get the Android 4.2 update because most of the manufacturers don't roll out updates until its a expensive device. The Videocon VT 10 comes at a price of about Rs 11,000 where as the Spice Stellar Pad comes for about Rs 12,999. Spice Stellar Mi 1010 Pad proves to be a better tablet with just an edge in specification. It is because of the 16 GB internal memory and a Quad Core GPU which will enable good rendering in HD Games. So if your budget allows you, go for the Spice Stellar Pad else Videocon VT 10 should be your choice rather buying other tablets in the market. If you have any questions or queries feel free to comment below. Don't forget to share this article with your friends by using the buttons below!